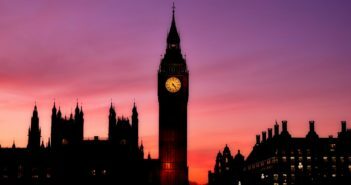 With uncertainty rising around the United Kingdom’s pending withdrawal from the European Union, five federal regulatory agencies today issued an interim final rule to allow qualifying swaps to be transferred from a UK entity to an affiliate in the EU or the U.S. without triggering new requirements. Commodity Futures Trading Commission Chairman Chris Giancarlo signaled today that the CFTC will soon advance a new cross-border derivatives proposal once the government shutdown ends. The Commodity Futures Trading Commission voted today to maintain the swap dealer de minimis threshold at $8 billion on a permanent basis. In a white paper published today, Commodity Futures Trading Commission Chairman Christopher Giancarlo called for changes to the CFTC’s regulatory framework for internationally traded swaps and highlighted several problems with its current approach. To facilitate compliance with their rules regarding qualified financial contracts of systemically important banks, the federal banking agencies today finalized a rule clarifying that legacy swaps — those entered into before the margin rules’ compliance dates — do not become subject to margin requirements provided they are amended solely to comply with QFC rules.